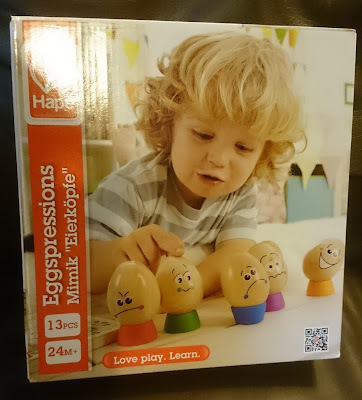 Eggspressions is an educational toy for 24m+ children. It comes with 6 eggs and 6 stands as well as a book to read along with them. The point in Eggspressions is to teach your child what people are feeling and this is a really fun way of doing it. The book tells a story that allows your child to match the eggs expressions to their bit of the story. The story is engaging and the illustrations are captivating. Humpty's cousins are invited to a party but they need a plan to get over the castle wall. By sharing their feelings and working together, they find a happy solution. The six eggs are Happy, Sad, Shy, Angry, Excited and Afraid. Marley enjoyed learning about their expressions and he quickly got the hang of which was which, and even tried mimicking them. I made up stories for him too, to correspond to each egg which he enjoyed. He is almost 3, so he does grasp the concept of some feelings, but some he was unfamiliar with and so this helped him understand feelings he had not encountered before. The Eggspressions from Hape are sure to provoke hours of egg-citement within your little one this Easter. Enjoy the 6 characterful eggheads as you follow their journey through the scrambled feelings idea book. Watch as children learn to identify and express their feelings while developing hand and eye co-ordination, perfect for any early explorer. 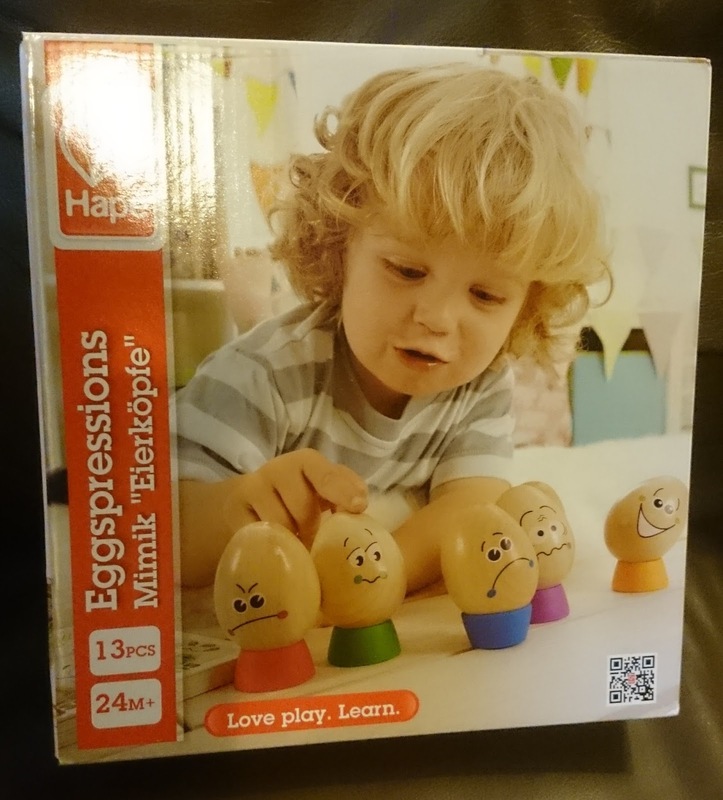 The Eggspressions are suitable from 24 months + and are available to buy online for Argos for £19.99.